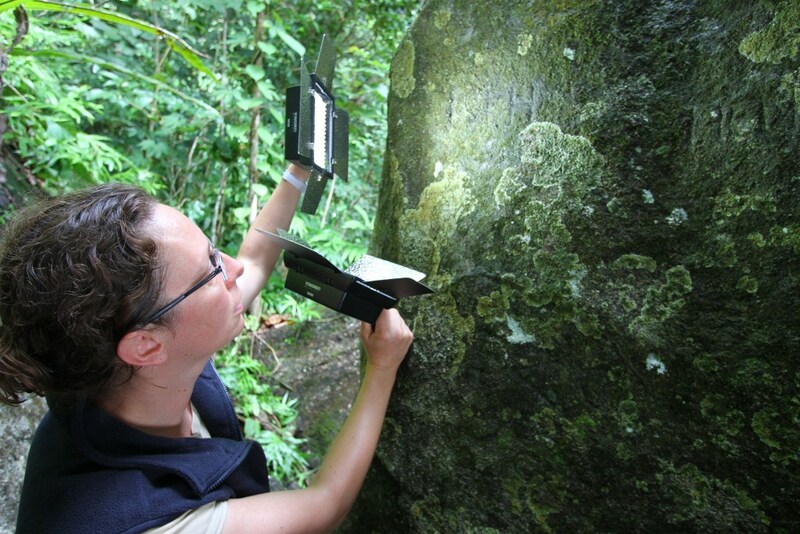 Archaeologists have found dozens of inscriptions carved by 17th century Dutch sailors on Madagascar, shedding new light on how trading ships communicated their whereabouts when far from home. 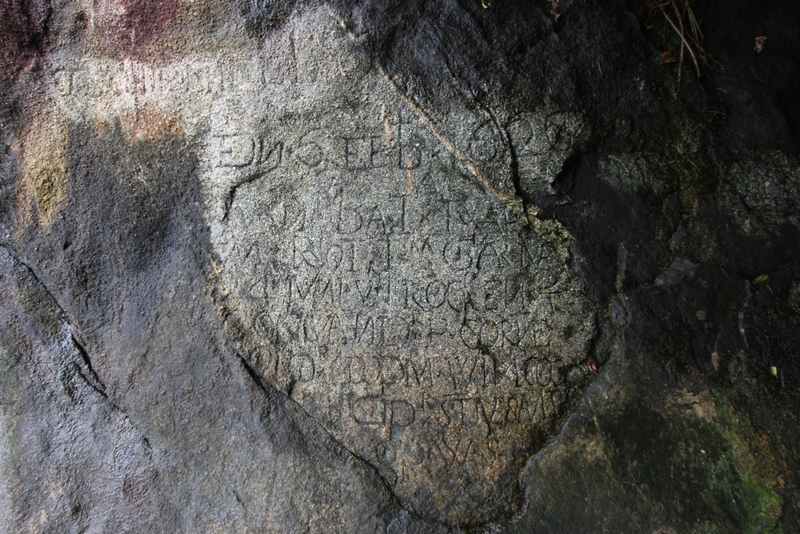 More than 40 etchings, dating between 1601-1657, were cut into the rocks on Nosy Mangabe Island in the Bay of Antongil. They record the names of Dutch East India Company ships that used the sheltered beach – known to this day as Plage des Hollandais (‘Beach of the Dutchmen’) – as a safe place to take on fresh water, recover from sickness and repair damaged ships en route to South East Asia. Centuries before the invention of the radio or telegraph, sailors relied on other ships to pass on messages and relay their last port of call. Last month (April 2012) a research team from Flinders University found inscriptions left by the crews of at least 13 ships, recording the names of the vessels and some of their officers, as well as the time and date of their arrival in the bay. 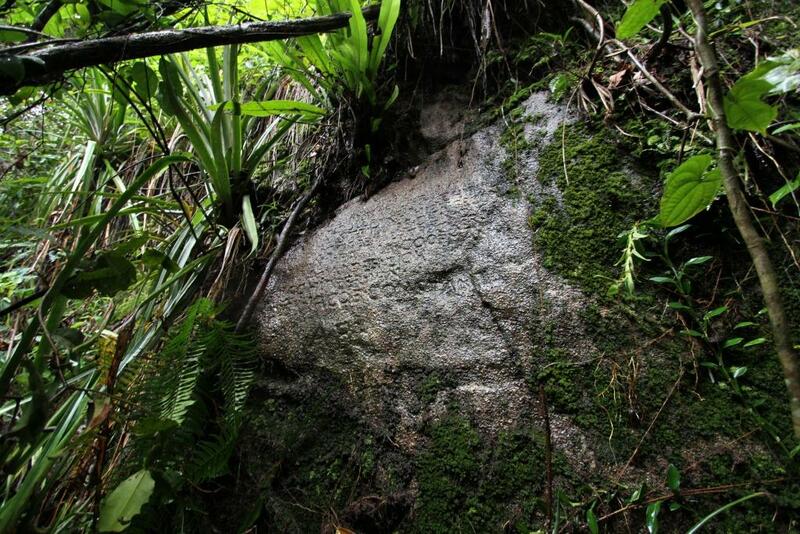 Around a dozen maritime inscriptions were previously known on the island, spotted in the early 1920s by M E Drouhard, the French colonial adjunct-inspector of waters and forest, but this recent survey – the first archaeological assessment of the carvings to take place – found many more. Similar ‘postal stones’ have also been found on St Helena and the Cape of Good Hope, Dr van Duivenvoorde said, but the Madagascan examples are the earliest of their kind and exceptionally well preserved. The research team, which also included Flinders University archaeologist Mark Polzer and Jane Fyfe, a rock art specialist from the University of Western Australia, are currently transcribing and translating the inscriptions and hope to return next year to create 3D images of them. Dr van Duivenvoorde added that some of the writings highlighted how hazardous 17th-century maritime trade could be.